The National Water Census (NWC) will leverage a long history of groundwater studies and accelerate ongoing regional studies to assess the Nation's groundwater reserves that formerly were conducted under the USGS Groundwater Resources Program. Groundwater systems are incorporated into the NWC in two ways, investigating groundwater resources through a series of regional studies, and increasing capacity to integrate groundwater and surface water into watershed-level assessments of water availability. A major element of the National Water Census is regional analysis of groundwater availability, continuing a series of studies begun under the USGS Groundwater Resources Program. Current plans call for studies of 30–40 principal aquifers that collectively account for more than 90 percent of the Nation's total groundwater withdrawals. The regional scale of these studies enables information to be integrated and consistent, so the resource can be analyzed and understood on an aquifer–wide scale. Therefore, it provides decision–makers with a better understanding of the status and trends in the Nation's groundwater availability. Water managers are now looking for ways to better manage known groundwater resources while also identifying supplemental sources of water. 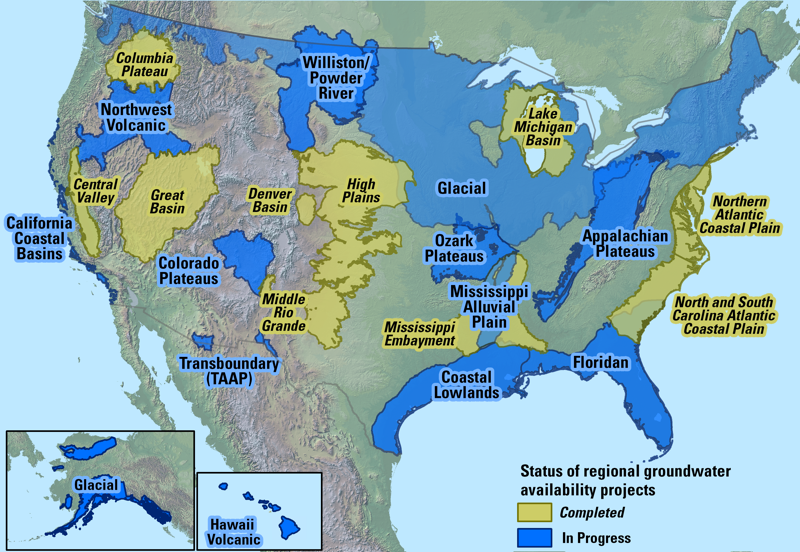 These multidisciplinary studies of regional groundwater availability across the United States will provide resource managers and policy makers with essential information needed for management of a limited resource. The National Water Census also will develop estimates of groundwater recharge, storage, and discharge at the watershed scale, as much as possible. These estimates will be made using a combination of information from large–scale studies, observed data on groundwater levels collected in well networks, analysis of streamflow records, water use, and other available information. 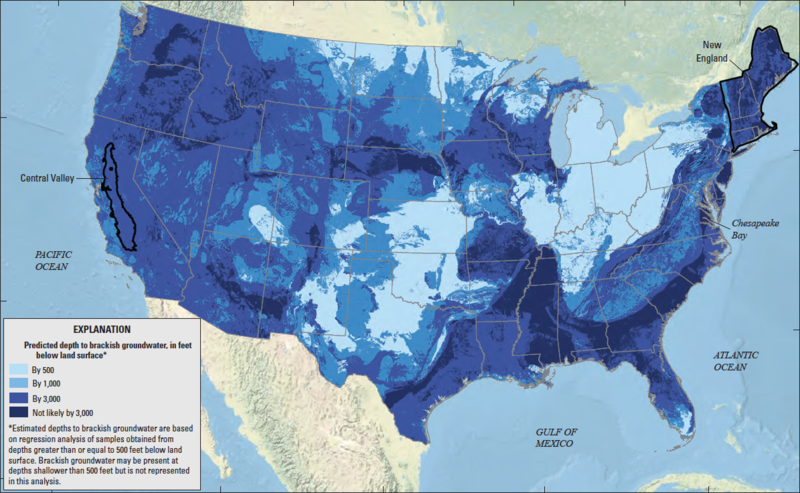 Brackish groundwater, as a resource for direct use or for desalination, potentially represents an increasingly important component of the Nation's water supply. Relatively little is known, however, about brackish groundwater as compared to fresh groundwater. A better understanding of the distribution and characteristics of brackish groundwater can provide information for future development of this resource. To satisfy requirements of the SECURE Water Act, the National Water Census provided funding to conduct the National Brackish Groundwater Assessment.